The Old Red Tongue is a major anthology of over 300 texts – poems, plays, memoirs, essays, extracts from novels and short stories, hymns, eulogies, elegies, medieval prose, political and theological commentaries – from nearly 200 writers covering every period from the 6th century to the present day. Included are selections from poets of ‘the Old North’ (present day Cumbria and the Lowlands of Scotland) where the first Welsh poetry was written, extracts from the Mabinogion, poems by Dafydd ap Gwilym – generally regarded as the greatest Welsh poet of all time – as well often neglected writers of the 16th and 17th centuries, such as Lewys Morgannwg and William Salesbury. In the 20th century, nearly 100 writers are represented – including Kate Roberts, Saunders Lewis, Kitchener Davies, Caradog Prichard, and contemporary writers such as Wiliam Owen Roberts, Mererid Hopwood, Menna Elfyn, Bobi Jones, Gwyneth Lewis and Alan Llwyd. Welsh texts are followed by English translations and many have been translated into English for the first time. 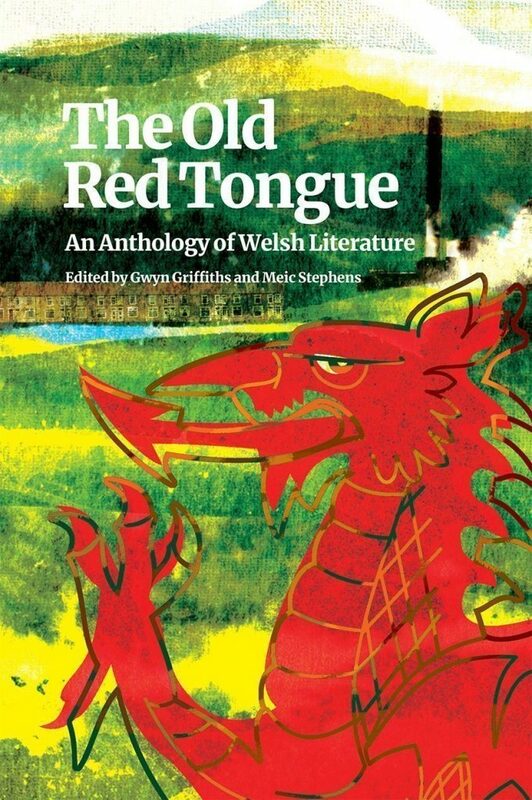 Over 1000 pages long, The Old Red Tongue introduces the English reader to the riches of Welsh literature, one of the oldest in Europe. A unique work in scale and variety, this anthology is also an invaluable resource for Welsh speakers, learners and students. Meic Stephens was Professor of Welsh Writing in English at the University of Glamorgan and, from 1967 to 1990, Literature Director of the Welsh Arts Council. Founder of Poetry Wales in 1965, he edited the magazine for eight years. He wrote the pioneering study Linguistic Minorities in Western Europe (1976) and compiled The Oxford Companion to the Literature of Wales (1986) and The Oxford Illustrated Literary Guide to Britain and Ireland (1992). He has also translated from the Welsh the work of Islwyn Ffowc Elis, Saunders Lewis and John Gwilym Jones. A bilingual anthology of Manx literature, from the earliest Manx writings to the present day, along with their English translations. Grains of Gold brings together for the first time an extensive selection of Occitan literature with English translations from the tenth to the twenty-first centuries. An overall picture of Breton literature from the earliest traces in the Lais of Marie de France to the present day. The majority of the 150 stories, poems, legends and reminiscences are in Breton, with parallel translations into English.